Is a border collie right for me? If you live in an apartment, have very young children or don’t enjoy exercise, a Border Collie probably isn’t right for you. A Border Collie is a wonderful dog in the right home, but too often find themselves in inappropriate settings because their unknowing owners saw them in a movie or at the sheepdog trial and thought, “that dog looks smart”. Border Collies are smart and learn very quickly. However, they are not born knowing the skills you see them displaying. That Border Collie you met at the sheepdog, obedience, or agility trial is the product of years of training, hard work and consistency. Border Collies have been bred for centuries with one goal in mind - to work sheep. While this is a positive in a farm setting, this makes Border Collies ill suited to many lifestyles. Border Collies often mistake playful children for sheep and instinctively herd and nip at them much to their owner’s dismay. Sheep herding is strenuous work and a novice Border Collie owner may have difficulty fulfilling a pet Border Collie’s needs for both mental and physical stimulation. In the right home, a Border Collie is a marvelous addition, and can make a wonderful pet, but in the wrong environment a Border Collie can spell disaster. Border Collies are one of the more diverse breeds. Although the classic look most people associate with the Border Collie is black and white, the breed comes in many different colors, coats, and sizes. Border Collies can range from 25-65 pounds. There is an equal distribution of rough coat (long haired) and smooth coat (short haired) Border Collies available in rescue. Both coat types shed twice a year and require brushing several times a week to look their best. Border Collie ears can be up or down, or anything in between. Their eyes range from light to dark brown and sometimes even blue. Although a specific Border Collie may be physically appealing to you, it is important to choose a dog whose temperament and activity level best matches your lifestyle over one who is handsome. Border Collies are extremely intelligent dogs. This means that they can be easier to train but it also means that they will find their own work if they aren’t given a job. More often than not, the job a Border Collie chooses for himself is not something you will like. In order to keep him focused, you will need to give your Border Collie a job to do. Because each dog is different it may take some work to figure out exactly what he or she needs to do. With a rescue dog it is best to consult the foster parent because they have lived with the dog and understand its needs. All Border Collies need daily exercise. This should consist of at least 30 minutes of vigorous exercise twice a day. Fetching, jogging, agility or herding are excellent choices. Border Collie mixes generally have a lower exercise requirement and can be an excellent choice for many homes. Border Collies also need plenty of mental stimulation. This usually comes in the form of formal training. Without training, a Border Collie can be very obnoxious. 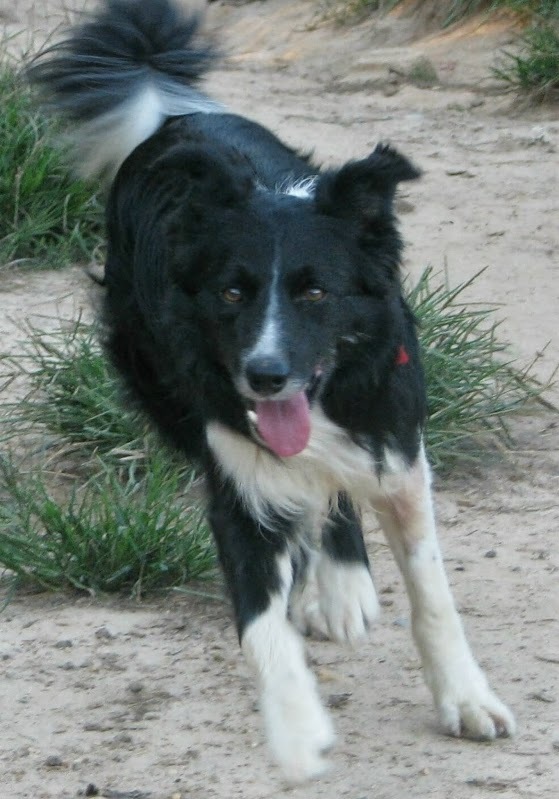 In fact, many Border Collies make their way to rescue because their former owners did not take the time to train them. A formal obedience class is an excellent way to bond with your new dog and ensure that you begin your relationship with the proper groundwork. A well-behaved Border Collie can be an excellent companion and treasured friend. They are extremely intelligent and affectionate dogs. They are loyal to their owners and excel at anything they are trained to do. Once you live with a Border Collie, you’ll begin to wonder how you ever got through life without one. If you believe a Border Collie is the right breed of dog for you, please consider a rescue dog. Border Collies and Border Collie mixes from ARCBCR make excellent pets for active households. More often than not we also have dogs in our care who make excellent sport prospects for herding or agility. We invite you to meet our dogs by clicking on the Available Dogs section of our website. To learn more about Border Collies, click here.